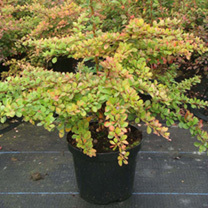 Berberis thunbergii is a deciduous shrub with small, rounded green leaves that turn orange and red in autumn before falling. Small yellow flowers in spring are followed by bright red berries in autumn. 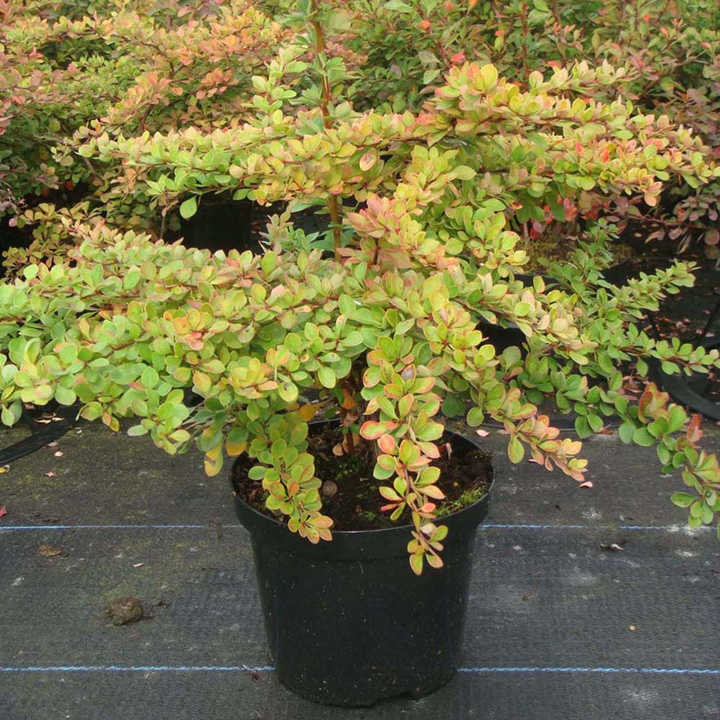 It can be trimmed to shape and makes excellent hedging, growing in most soil conditions except waterlogged soil. Flowers and leaf colour are better if grown in full sun. Flowers May. Height 100-150cm. Supplied in a 3-4 litre pot.